Not every supplement is Quality. Not every Garcinia cambogia is manufactured equally. Not every Garcinia cambogia is Tested to support its claim. 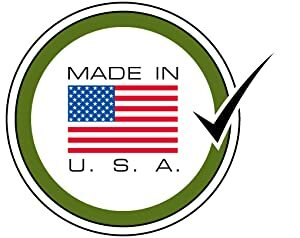 Quality Encapsulations has a mission to provide consumers with the utmost in quality and safety. Every single product goes through extensive testing in our on-premises state-of-the-art laboratory, as well as through a third-party lab for an extra level of protection. Quality Encapsulations has a team of professional formulators that work hard to ensure our product formulation is of the highest quality and contains purest raw materials only. Quality Encapsulations has a team of individuals that manually inspect each capsule, to make sure that it looks good and clean. Because we do not add any artificial ingredients to smoothen the encapsulators, we do a manual inspection to avoid rejected capsules from being bottled. Quality Encapsulations Garcinia Cambogia is manufactured in an NSF certified facility in the USA, which ensures the facility and the entire production process from Harvesting to QC, comply with their comprehensive and strict NSF cGMP standards. Quality Encapsulations Garcinia Cambogia has a one of a kind Quality Control process. Our team of professionals on every step of the way enables us to produce our products without artificial additives, and still maintain a pure and beautiful product. Following is a partial list of Attributes that we test for in each and every Lot of our Garcinia Cambogia. We will never begin production before every single attribute was tested for, and passed %100.